In our country, girl children are considered as the curse from the ancient time. If we think from our own mind the question arise that how the girl child can be a curse. The answer is very clear and full of fact that without a girl child, boy child can never take birth in this world. Then why people do lots of violence again women and girl child. It is very clear that a girl child always become blessing for the society and reason for the continuation of life in this world. We worship many female Goddesses at various festivals however never feel a little bit of kind to the women living in our home. Truly, the girls are pillars of the society.A small girl child can be a good daughter, a sister, a wife, a mother and other good relations in the future. 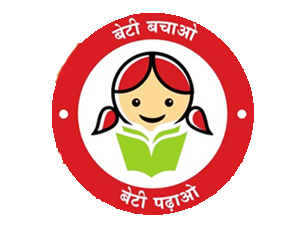 So our thought towards girl children needs to be positive to help them to grow properly. Today Girls and equal to the Boys. To promote the same message, we have been organized one camp with the parents on 22/10/2015 in which about 60 parents were participated. The issue has been discussed thoroughly. Each one committed to save their girl child and help them to grow properly and will provide all sorts of family support to them.